So...let me say it right up front, I do have GRAND children, however, not the traditional kind...OBVIOUSLY, I started the whole babymaking process alittle late! Thought I was getting all the "fun stuff" out of the way before I got "too old" ..now I know what is meant by "life begins at 40"! Karen Bailey Roston has a birthday today. 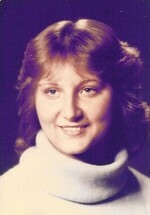 Karen Bailey Roston updated her profile. View.